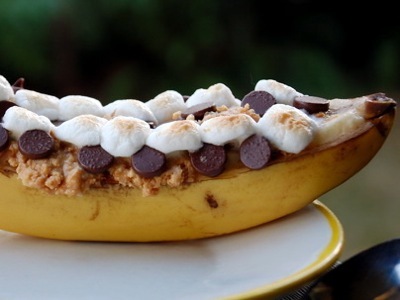 Last summer, a friend of mine made “banana boats” (a gooey pile of banana chocolate & marshmallow deliciousness) while we were camping on Lake Greenwood in South Carolina. They are YUMMY and the kids loved them! We made them right along with our nightly s’mores! Peel a single strip of the banana down so only a small strip of fruit is showing. Cut out the exposed slice of banana (about ½” wide). 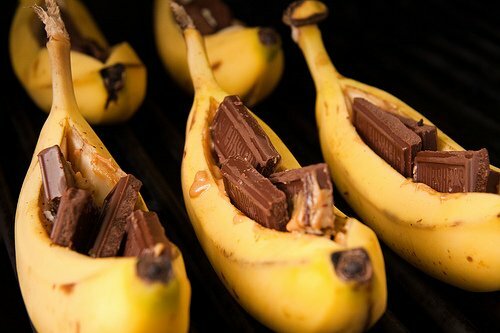 Put chocolate and marshmallows into the space where you removed the banana strip. Replace the peel over the exposed section of the banana. Wrap in aluminum foil and place in coals of your campfire or over a grill. Remove from campfire. BE CAREFUL!!! Packet will be HOT! Once it’s cooled, chow down! Allrecipes.com has some more clever snack ideas that you and your kids will love! The banana dog looks tasty! Do you know of any recipes or snacks that have been a sensation among your family and friends? Let us know below in the comment section below, we love your feedback! Banana boat images 1 and 2 from Tumblr. 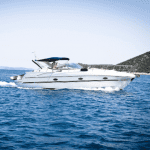 Next: What’s the biggest fish ever caught with a rod and reel? Previous: Celebrate Independence Day with some little-known American history!